The bank’s mortgage division will now occupy 2,455 sf at 1004 Santa Barbara St, at the corner of Carrillo and Santa Barbara Streets. Bank of Manhattan originated in El Segundo with the goal of building loyal partnerships with employees, clients, shareholders and the community in which they serve. A bank founded by entrepreneurs, Bank of Manhattan is committed to offering modern technology for the most efficient, reliable and professional service. Michael Martz of Hayes Commercial Group represented Bank of Manhattan in the lease transaction, while Kristopher Roth and Francois DeJohn, also of Hayes Commercial, represented the lessor. A 100% remodel of the suite, which includes five private offices, made 1004 Santa Barbara St. arguably the nicest and most sought-after space in the downtown banking area in recent months. “This is a Class A office space in a very prominent downtown building with great visibility. The space lends itself very well for Bank of Manhattan. It is a high-profile building in the financial sector of downtown Santa Barbara,” said Michael Martz, who knew how important it was for the bank to find the right space for its first mortgage lending office in the Santa Barbara area. 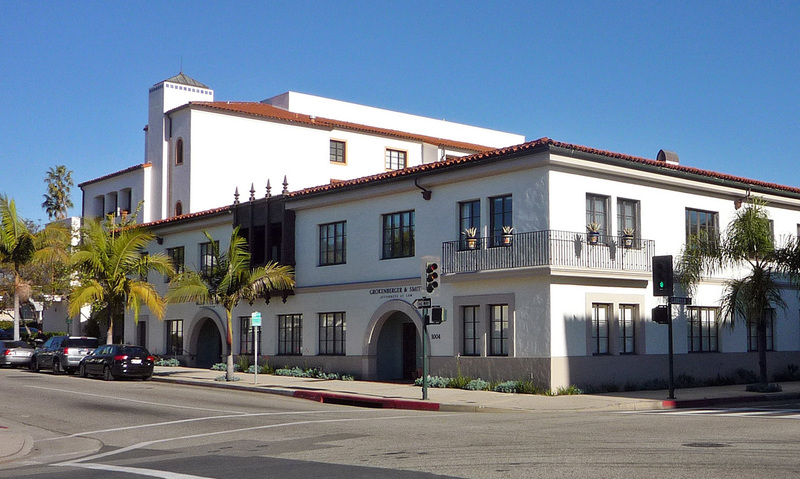 Martz conducted an extensive search, along with Adam Black, Vice President and Senior Loan Officer with Bank of Manhattan, and they held out for the best location for the bank’s presence in the Santa Barbara community. “Banks have definitely shown an increase in activity with interest rates being low, and it does seem that many are expanding their mortgage lending footprint within this current economy,” said Michael Martz. Lessee: Bank of Manhattan, N.A.